Perfect for your event on a budget. 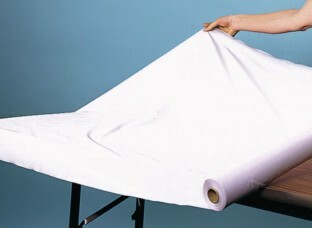 Convenient 40" x 100' plastic table cover rolls are perfect for your event on a budget. Cut to fit table. Select color. We used this as a table covering for art projects in our outreach and on-site classes. It's kind of reusable-if you're careful enough in picking it back up again it can be reused again. Using masking tape on it rips it however so seek other ways to fasten it to your work spaces. Economical way to dress up your tables! Great for those special occasions!